One of the most rewarding things I have done in my life is teach my children to sew. 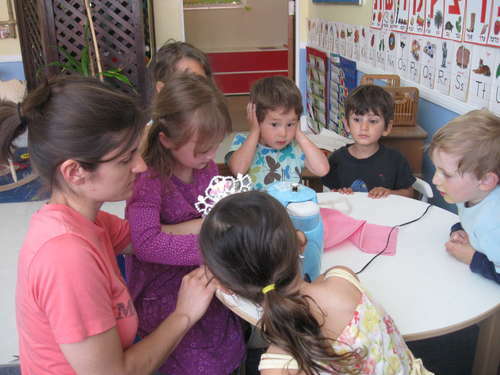 Early on, they showed a great interest in sewing and wanting to do what mommy was doing. I tried to nurture their curiosity while also trying to keep them safe. There are so many benefits to sewing that I was eager to get them started too. How young can you start teaching a child to sew? This is a tough one, but my belief is that you can start teaching them to sew when they start to show an interest in it. However, it really does depend on your child and how coordinated they are with their hands. I started with my children when they were around 4 ½ years old. They used their first sewing machine at 5 ½. You absolutely must supervise them when they are this age though. Kids can do unpredictable things so you need to be there to help, guide and teach. This will increase their confidence, skills and keep them safe. After I showed them how a sewing machine operates and showed the sewing needle moving up and down on the fabric they were quite nervous about getting their hands anywhere near the needle. Therefore, I had them control the pedal first. As I pushed the fabric through the machine, I instructed them to either “start” or “stop” pressing on the pedal. This got them used to the speed and control of the foot pedal without putting them in harm’s way. Both of my children really enjoyed this and felt involved in my projects. It only took them a few times to feel comfortable enough to take control. Please, please, please do not buy one of those toy sewing machines. If you’re goal is to waste your money and frustrate your child, then by all means get one. If however, you want your child to love sewing and learn in a frustration-free environment, then stay away from these machines. There are so many inexpensive sewing machines that are perfect for your child that you should never have to use a toy one. You can get a decent beginner sewing machine for well under $100 and get an amazing one for $150. 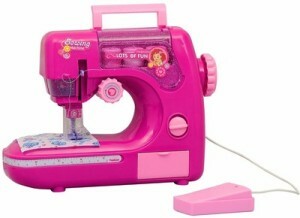 There are many Brother sewing machines for kids that are around $70 and are perfect for beginners. You can find a bunch of good reviews and inexpensive options at www.bestsewingmachineforkids.com that will help you make your decision. When kids start out they move slowly. So be patient, don’t rush them and let them gain some confidence. You actually won’t believe how slowly my children went. It took all of my will power to not push the fabric through the machine myself. With a little practice they were moving at a much more bearable pace. Let them choose everything they want to use in their project. The fabric, thread, pattern, etc. All of the freedom you give them allows them to expand their creativity. Who cares if it doesn’t look very nice when they are finished? I guarantee you they will love it anyways and have fun doing it. The only thing you shouldn’t let them start with is an overly-complicated pattern. There are so many simple sewing projects out there for them to choose from that you shouldn’t have any problem finding something they will enjoy and learn from. Once they gain more confidence, they will want to do something more complicated or something different. Be patient and let your child explore sewing at their own pace. It doesn’t matter that what your child creates isn’t perfect. What’s important is that everyone is having fun. If they enjoy it, they will continue to sew and eventually want to do more wonderful and creative things. Enjoy this time with your child. They are only this age once and time flies. To view available children’s craft kits, scroll down this page. 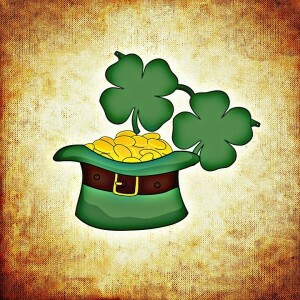 If you wish to view a specific craft, click on one of the above categories, ie: beaded, wood, felt, pom pom, or all. If you wish to view specific crafts that have recently been developed by Crafts by debbie click on “New” crafts. Stay tuned for more new Easter craft ideas coming shortly! If you are looking for a sewing machine that is suitable for someone that is just starting out with sewing then look no further than the Singer Simple Sewing Machine. 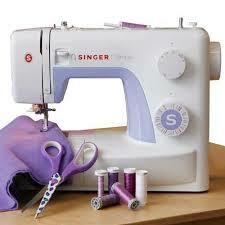 The Singer 3232 is inexpensive, easy to use and has all of the features that you would need for everyday sewing. This sewing machine is a dream to use. If you are starting out, threading a sewing machine can be a pain and something that you don’t want to deal with when you want to get right down to working on your dream projects. Thankfully, one of the nicest features this machine has, is its automatic needle threader. It will save you time by letting you work on your projects instead of worrying about getting the threading right. The 3232 also comes with 32 built-in stitches, a fully automatic one-step buttonhole, adjustable stitch length and width and a durable heavy duty metal frame. It also has a 25 year limited warranty to give you piece of mind. This machine by Singer was especially designed with the beginning sewer in mind. As we mentioned before, this machine is a synch to use. Once you read the manual you will be up and sewing in no time. When you get a bit of experience under your belt you can utilize the free arm and sew a hem, add a cuff or even try some quilting. This is where the heavy frame comes in handy. You want a heavy frame when working with large, heavy fabrics. It will keep the sewing machine in place without tipping the machine. For an inexpensive machine, the Singer Simple has a lot of really nice additional features that come in handy. There are three needle positions to choose from and you can also adjust the stitch width to 5mm. The presser feet comes with a lifter that you can use when working with thicker or gathered fabrics. So many machines at this price level do not include these helpful features. Another surprising thing about this machine is the speed at which it sews. This beginner machine can perform 750 stitches per minute, which is quite amazing considering the 3232 can be had for around $100. And with the heavy duty frame, stitching speed won’t be an issue. There will be no skipping or moving of your machine while you work. Should You Buy the Singer 3232 Sewing Machine? If you are a beginner or are purchasing for one, this is a great little machine. It comes with everything you need and more. You’ll find it simple to use and the instructions and DVD that come with it are great. The only downside we see in this model is the lack of a drop-in bobbin system. This isn’t a huge deal, but one thing you should consider if you would prefer your machine to have one. If I was just starting out again I would buy this machine. It does everything you want in a beginner machine and won’t break the bank. Click here for an in-depth review of this sewing machine. To view available children’s craft kits, scroll down this page. If you wish to view a specific craft, click on one of the above categories, ie: wood, pom pom, felt, or all. If you wish to view specific crafts that have recently been developed by Crafts by debbie click on “New” crafts. Stay tuned for more new Valentine craft ideas coming shortly!